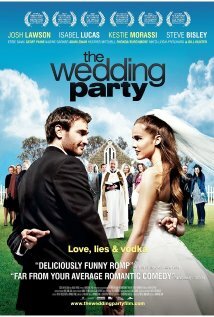 Posted on 28/05/2013, in the whole rom com list, weddings rom coms and tagged Essie Davis, Geoff Paine, Isabel Lucas, Josh Lawson, Kestie Morassi, Nadine Garner, Rhonda Burchmore, Steve Bisley. Bookmark the permalink. Comments Off on The Wedding Party.